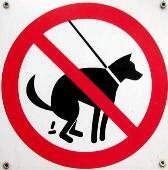 Constipation in dogs, is often just an occasional normal part of dog life. Some ways you may notice that your dog is constipated; is he often whining or walking funny? Maybe you notice that she seems to be trying to poop but is straining excessively, producing either none or very little stool? Notice if your dogs stool looks hard or dry this is often dog constipation. Your dog may not want to eat when she is constipated. Even though constipation in dogs may not be looked at as a major issue it can cause hemorrhoids, and other health problems. If your constipated dog does not produce regular stool within a few days, it is time to see your vet. There is always the possibility of a blockage as we know dogs like to chew and eat all sorts of things such as toys, bones, rocks, etc. You may have a long haired, or thick coated dog that is simply doing a good job of grooming causing a hair blockage. If your dog should become constipated? Try this dog constipation remedy. Give him sugar free canned pumpkin (not pie filling), this natural remedy for dog constipation should do the trick within a day, make sure that your dog has access to plenty of clean fresh water, as this will help pass the stool, also constipation can be caused from dehydration. If constipation is a regular problem for your dog, it is time to start looking more closely at what may be causing this? Often it can be from your dog not getting enough fiber in her diet. Dog constipation is more common in older dogs. With an older dog be sure there is plenty of fiber in his diet, regular exercise is also key. Constipation in dogs is often caused for some of the same reasons humans get constipated. Sedentary lifestyles and poor diet, play the largest role in constipation. One simple thing you can do is add probiotics to your dogs diet, this is not a short term remedy but is one of the best ways to keep your dogs digestive system functioning properly. Following the probiotics link will not only take you to a site that has information on probiotics, but also great information on green living. If your dog is constipated for more than a few days, it is time to see the vet. Some more serious causes of constipation can be tumors, kidney disease or prostate problems in male dogs, so again if ever in doubt please see your veterinarian.